I’m up the Murray again on a research trip. 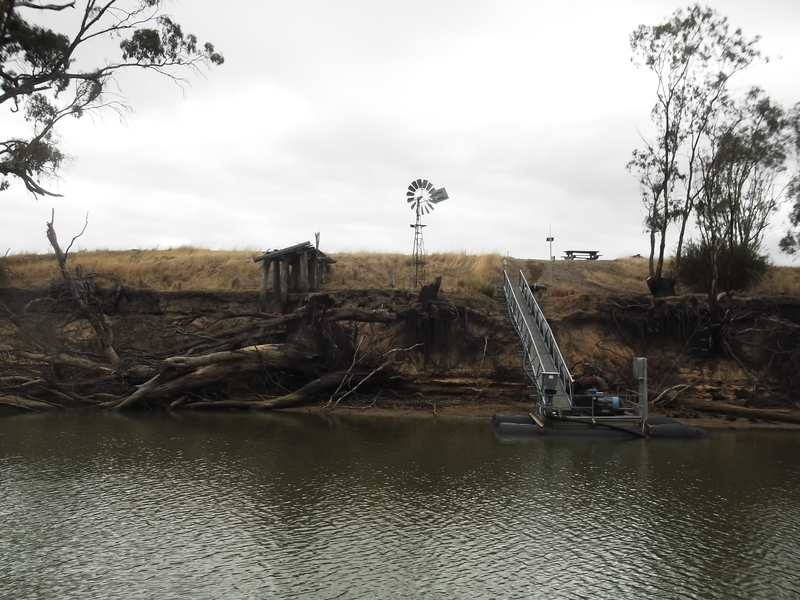 This time it’s a houseboat from Echuca on the Victorian-NSW border, up to Torrumbarry Weir. 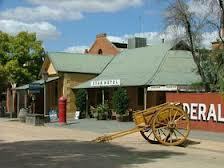 Today I spent a fascinating day exploring the historic port of Echuca, Australia’s paddle steamer capital. The river precinct is an authentic working steam port, home to Australia’s largest fleet of steam-driven paddle steamers. It still operates much the same as it did in days gone by, with shipwrights and steam engineers providing a vital role in the port’s operations. 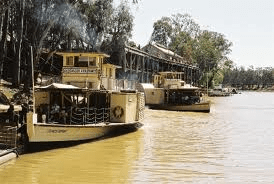 Echuca holds a place in history as Australia’s busiest inland port during the late 1800’s, handling cargo from hundreds of riverboats annually. It’s still the centre of steam boat activity. Wander down the Murray Esplanade and you can almost smell the wood smoke from the old paddle steamers as they unloaded wool, timber and wheat, and took on stores, shearers and machinery for remote stations along the Murray and its tributaries. We had lunch at the Star Hotel built in 1867, and explored the underground bar and tunnel. The bar lies twelve feet underground. After being de-licensed in 1897 due to the rowdy nature of the establishment, the underground bar became a ‘sly-grog shop’. An escape tunnel led to an outside alleyway, which was used in the event of a police raid. The underground bar and tunnel was only rediscovered in 1973. Previous owners had lived there for forty years, unaware of its existence. Unfortunately, my trip up this part of the Murray only confirms what I’ve found in other places. Too many people wanting a piece of this majestic river. 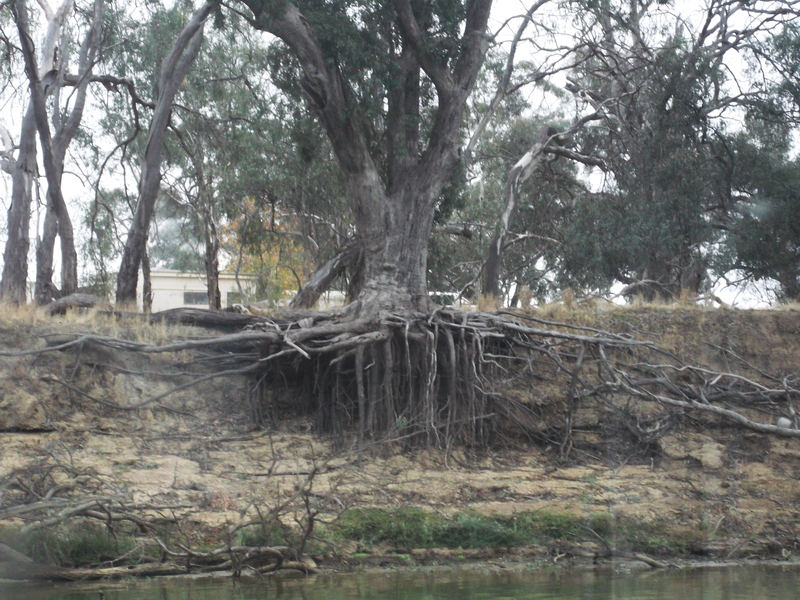 Giant river red gums losing their grip on degraded banks. Old jetties jutting out twenty meters above the current river level. The health of the Murray-Darling Basin is failing. Ecosystems which rely on the water flowing through the Basin’s rivers and tributaries are under great pressure, due to unsustainable extraction levels for irrigation and other uses. This problem is likely to become worse as water availability declines, due to climate change. We must act now, to restore the balance. Our children won’t forgive us if we don’t. Last week, on a late night bus trip outside the Murraylands town of Mannum, I was thrilled to see several Southern Hairy-Nosed Wombats. Here at Pilyara, Common Wombats are thankfully just that – common. But I’d never seen their much rarer western cousins. Southern Hairy-Nosed Wombats (Lasiorhinus latifrons) are one of three species (The Northern Hairy-Nosed being the rarest, and close to extinction). They’re found in scattered areas of semiarid scrub and mallee from the eastern Nullarbor Plain to the New South Wales border. They are the faunal emblem of South Australia, and the smallest of all three wombat species. Currently, Southern Hairy-Nosed wombats are being affected by an unidentified disease outbreak. The most obvious symptoms are hair loss and emaciation. 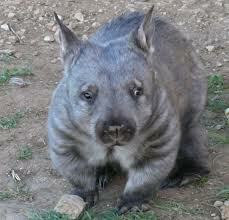 Internally the wombats are anaemic, and in some cases there is liver damage and heart disease. In many parts of their habitat, very few native grasses remain. Instead, the habitat is dominated by onion weed, horehound, and potato weed. It’s suspected that more frequent droughts and an increase in toxic weeds is causing many animals to starve to death. Wombats are an Aussie icon, but few people realise all the perils these gorgeous animals face: drought, floods, climate change, loss of habitat, disease, cars and culling – both legal and illegal. It’s not rocket science to see these animals are in trouble but thanks to the Wombat Awareness Organisation (WAO), there is hope! 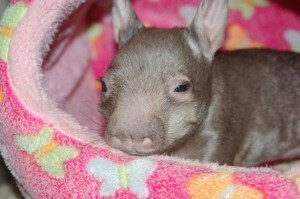 WAO is a wonderful charity established to help save the Southern Hairy-Nosed Wombat from extinction. 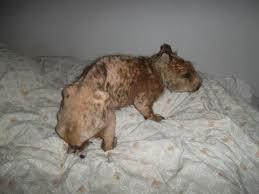 Until WAO began in 2007, injured or distressed wombats were ignored or shot. Now WAO’s rescue service is available to every wombat in South Australia. Their rehabilitation centre is the largest wombat facility in the world, with the world’s largest free range wombat enclosure spreading over eleven acres. 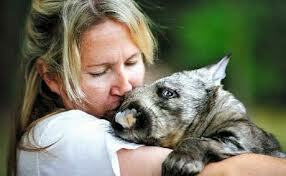 Wombats are nursed back to health and released into the wild if possible. Those requiring long term care can stay, digging burrows and sleeping in temperature controlled beds, in lush surrounds with ample native food in a supported environment. Donate to help the wombats here! PS I’m heading off again tomorrow on another research trip up the Murray. This time, it’s a week on a houseboat, leaving from the historic port town of Echuca. 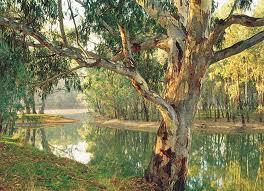 I’ve been up the Murray in South Australia, on a research trip for my new novel. Am only home briefly, and will be going back up the river again in a few days. 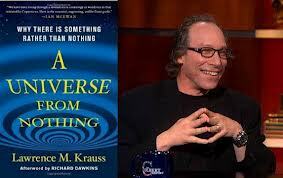 It’s been a marvellous and enlightening experience. First, a few facts. The Murray is the third longest navigable river in the world, after the Amazon and Nile, stretching 2,520 kilometres from its source to the sea. The mighty Murray-Darling basin is the third largest water catchment on earth. During my trip this grandeur was very much on show – the river remains stunningly beautiful. 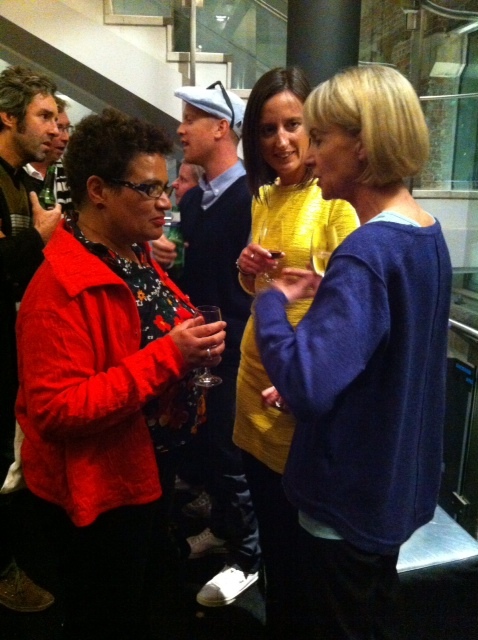 But the Murray faces many threats today, and these were on show as well. I was surprised at just how in-your-face the river’s problems are, in South Australia at least. Take the levees. Hundreds of kilometres of levee banks were built after World War One to ‘reclaim’ wetlands for soldier settlers. The once fertile river flats either side soon turned into dry wastelands. The farmers gave up, but the levees remain, protecting a dead landscape from life-giving floods. European Carp (actually from Asia) are another example. Old-timers remember a crystal clear river, abounding in aquatic plants, brim-full of Murray Cod and Perch. 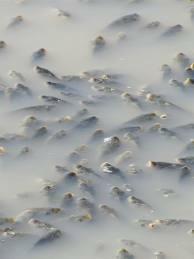 Millions of carp have actually changed the colour of the river, from clear to muddy. They hoover up the bottom and banks, sucking up water weeds, roots and all, then discharging sediments through their gills. The few plants that survive this treatment, still die because sunlight can no longer penetrate the cloudy water. Native fish and herbivorous water birds such as ducks, swans and spoonbills, have nothing to eat. There were no swans at Swan Reach when I was there. Only pelicans and other fish eating birds, which are thankfully making a small dent in carp numbers. Problems go on and on. 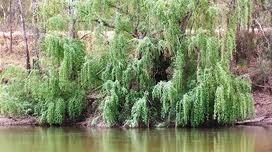 The most common trees along the Murray aren’t River Red Gums anymore, but English willows. They were planted along the river to mark its course, during the early years when the natural flood plain extended many square kilometres. Willows choke banks and channels, out-competing native species. They cause algal blooms by dropping leaves in autumn. And they are thirsty trees along an even thirstier river. CSIRO research shows an extra five and a half megalitres of water per year could be returned to the system for every hectare of willow canopy removed! And every drop counts in a country like ours. Incredibly, in the last twenty years the Marne River, (once a major contributor of water to the Murray) has completely dried up, due to dams in the Barossa Valley.